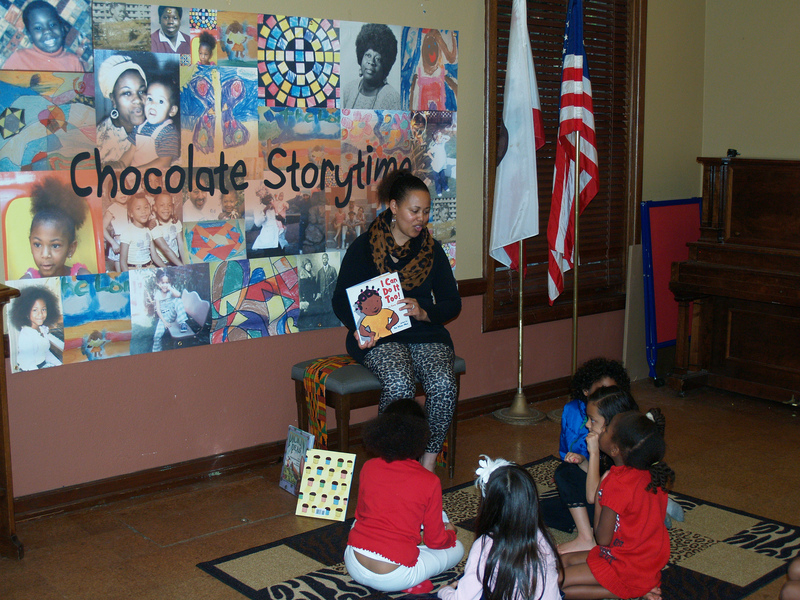 On the last day of Black History Month 2014, Dr. Ayesha Randall, interim vice president of LACCD BFSA and education instructor at Los Angeles Trade-Technical College, premiered her first Chocolate Storytime at La Pintoresca Library in Pasadena, California. Chocolate Storytime is set in a positive and affirming environment that includes fun with books and stories, songs, and movement activities. Chocolate Storytime builds language acquisition, literacy development, and cooperative team building skills and is a way to expose all children to more images of African American images. Chocolate Storytime will occur on the last Fridays of March, April, and May of 2014. For more information, visit www.chocolatestorytime.com.